If I could I would go to an outdoor movie every weekend. I absolutely love it! 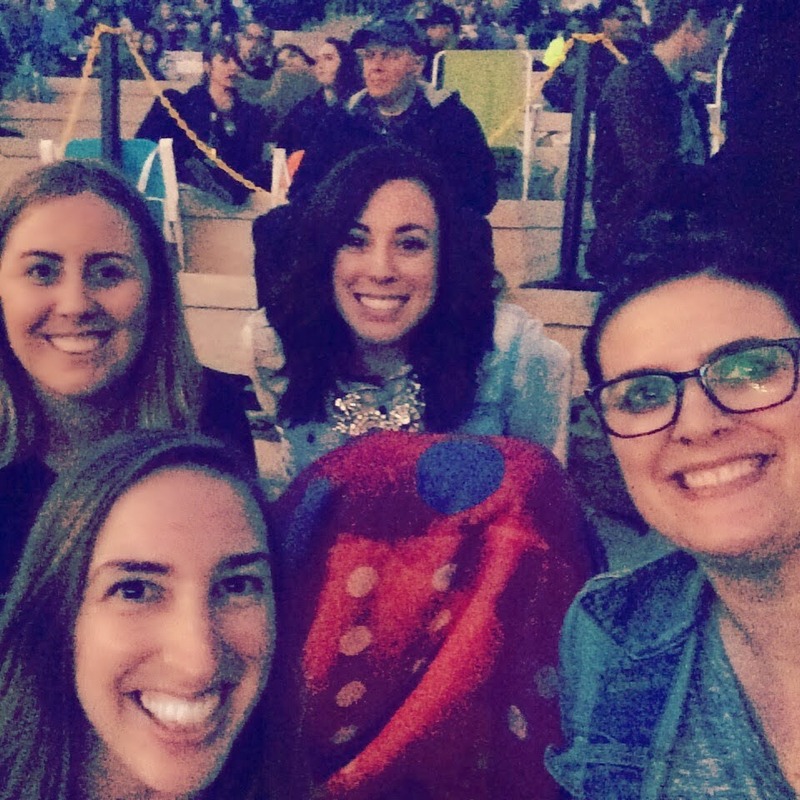 Last summer I went to see Mean Girls (Street Food Cinema in West Hollywood), Risky Business (Oscars Outdoors), Troop Beverly Hills (at Grand Park downtown), and The Sandlot (at Dodger Stadium). Two weeks ago I went to see (500) Days of Summer at Santa Monica High School through Eat See Hear. It now officially feels like summer! This was the first Eat See Hear movie of Summer 2014. Leeann organized a blogger meetup to kickoff the summer. Leeann, Brianna of Heart of Life (who I met at the TVD PaleyFest), Elisabeth of Headbands and Bagels (who I had just met at the SoCal Blogger Society brunch fiesta), and I had a great time. There are food trucks, live music, and then the movie of course. Located at rotating outdoor venues throughout the LA area, you can watch your favorite movies under the stars! For dinner I had pizza from The Urban Oven and then an ice cream sandwich from Coolhaus. Perfect Saturday night! That picture of you with the blanket is stunning! Pretty lady! Thank you :) I was freezing and had crazy wind hair but I guess the photo came out ok. HA!